"What do you think of ____ Diet?" "How many calories do you have daily?" My diet and exercise philosophy is the same: do what's enjoyable/sustainable long term. There's more than ONE way to reach a goal. What matters is results & compliance. What can you realistically stick to? I don't follow any specific diet or eating style. Although I'm not completely against it. There are some decent diets if you're the type that needs "rules". Rules don't work for me. I'm not intentionally intermittently fasting but my first meal has been between 11am-1pm lately. My goal is to steadily continue building muscle while minimizing fat gains. I generally don't track macros or count calories long term. 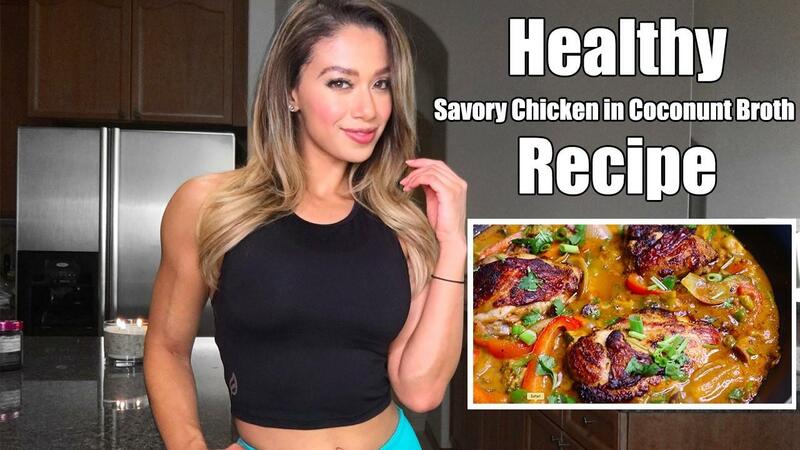 I have, I think it's important to know how to and I even offer a video training series available to my online training members on how to easily do this because it gives you so much insight into what the foods you eat consist of. Here are just a few healthy fast food options I've been loving lately for those times when you have no other option but to grab something quick to eat. What are some of your favorite healthy fast food options? Did you enjoy this compilation? Let me know in the comments if you would like more suggestions like this! This is a more lengthy & complex recipe. Still super easy to make but does require a bit of time. It took me approximately 45 minutes to make. 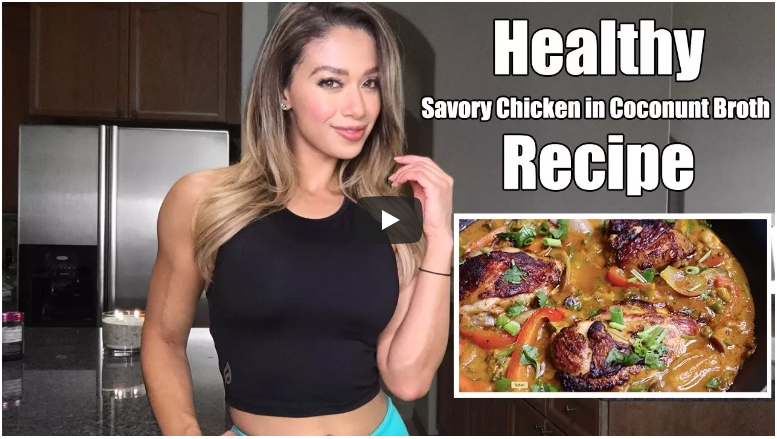 This is a great recipe to make for guests, a special occasion, or when you have time to prep a bulk batch of this for meals for the week! Enjoy! CHICKEN (I suggest you get Organic Free Range Chicken if you do eat animal meat. I order and get all of my meat delivered from an amazing company that sources the highest quality chicken from small family farms who take pride in their animal's health, safety, and humane treatment to provide you with the highest nutritional value and health benefits. This chicken is NEVER treated with hormones or antibiotics. Follow me on SNAPCHAT for more daily content from me! Learn more of my methods! I'll be your online fitness coach! I made this recipe LIVE with my friends on Instagram - Here's the video. The most important ingredient: GRASS FINISHED RIBEYE Steak. I order ALL my meat from HERE. I highly recommend you learn where your meat is coming from, what goes into it, and ensure all your beef is not only grass-fed, but GRASS FINISHED! (very important)... Or just shop where I do Click here to learn more. On an EXTRA HOT pan sear steak on both sides and cook to your desired temperature. I like Medium. Remove from pan and set aside to set. I get all my Grass-Fed Beef and Organic Free Range Chicken from an AMAZING company that has a relationship with some great small family farms. They source the meat and distribute it to people like me who care about meat safety, nutritional value, environmentally sustainable farming practices, and the humane treatment of animals but don't always have access to this quality locally or the time to research each cut of meat bought at a grocery store. I highly recommend doing this if you consume meat regularly and want to be more responsible about it. They also offer heritage breed pork! Check out what I got this month and a quick review of my Meat Delivery Service ! If you're interested in trying something like this, click any of the blue links to learn more about the company and how you can order too. Try it yourself! Get 15% off + FREE Bacon! I know there's a lot of confusing information out there about meat, it's safety, effects on our health, sustainability concerns and the humane treatment of animals for food production. After my review of the film What The Health (HERE) I've gotten a lot of questions about how to choose meat wisely if you care about nutritional value, environmental sustainability, and the humane treatment of animals. If meat is "Certified Organic" does that mean it is also sustainably raised and humanely treated? Do I really need to buy organic? What's the difference and why should I care? I think it's amazing so many of you are interested in HOW your food is being produced and I understand how confusing it can all be at first. Allow me to try my best to simplify it all in a way I wish someone would have explained it to me. 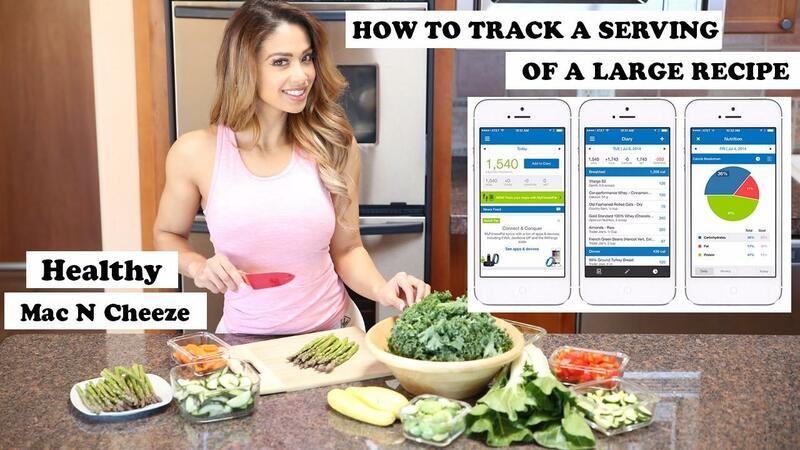 Do you get confused as to how you track your macros for a serving of a dish you make a large amount of? I know it can be tricky, but with this video and MyFitnessPal, it will be easier than you know! Learn how to manually enter your own recipes into MyFitnessPal so you can track all your macros whether or not you make your own food, or eat out. Traveling for work is sometimes fun, but it can be taxing and not always a smooth ride. However, I had fun shooting and doing my first podcast interview for Bodybuilding.com! Check out the behind-the-scenes shots from what I was doing on my trip. Shooting with bodybuilding.com is always great because I get to have help setting everything up, and yet I get to step out of my comfort zone too. We all need to be challenged in order to grow as individuals, so this was a great experience! I also included a new recipe for my One-Pan Cheesy Chicken "Casserole", try it out and tell me what you think! How do you food prep? Most people think of piles of containers and perfectly portioned meals stacked in a fridge for a week. Not my style, I do not like having meals sitting in my fridge all week. I like prepping food, and having it ready for cooking my meals during the week. I still have all my veggies, protein, sauces, and fruit for the week, but all ready to make separately. Get my FREE workouts and fat-burning, muscle-building guides! The All-or-Nothing Mindset Is Holding You Back! Enter your name & best email where I can send your FREE Workouts, Fat-Burning & Muscle-Building Guides.